Which New York Are You? This scene of the plush and verdant Great Lawn of New York’s Central Park looks almost like it was stolen from the Scottish Highlands. 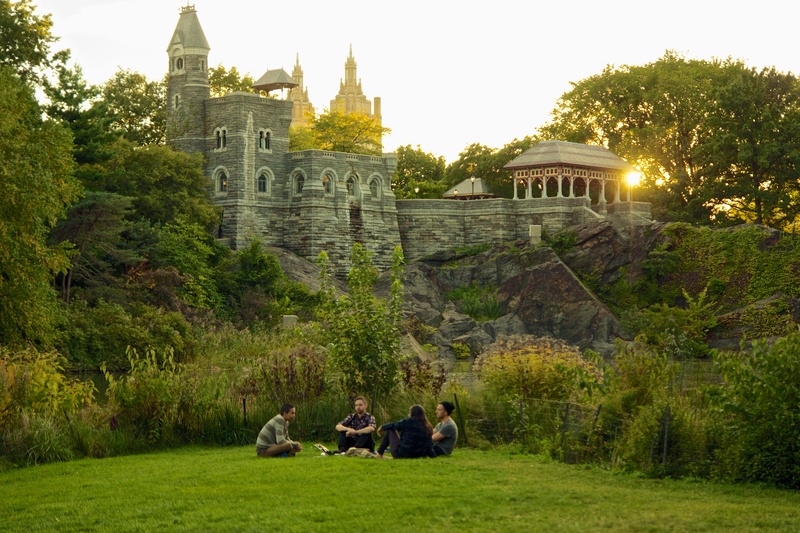 That’s the thing about New York: one minute your surrounded by soaring steel and glass skyscrapers and honking taxis puffing out exhaust, and the next, you’re nestled away in a quiet garden in the shadow of a centuries-old miniature castle. You can be anything you want in New York: the gentleman in a tuxedo strolling Madison; the hipster in skinny jeans sipping organic coffee in Williamsburg; the wide-eyed tourist in Times Square snapping photographs; the cool downtown kid dancing ’til 4am at some warehouse party; or the outdoorsy athlete, hiking his way through bucolic pastures of the city’s many parks. In our April issue, we explore the inside track to all the faces of New York. So no matter which New York you are, we’ve got you covered.